A video clip showing a teacher at an Ashaiman Makaranta or Islamic school reciting hate remarks against the Togolese President is making the rounds in some circles both in Ghana and Togo. 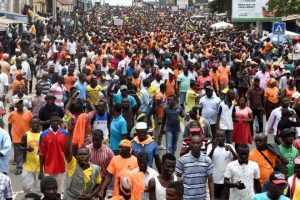 The video clip and the recent demonstration against the Togolese government in Ghana leading to the arrest and arraigning of the suspects is ample indication of how some elements from that country want to extend the frontline of the protest to Ghana. At the end of the recitation, he orders the children to cap the remarks with a verse from the Holy Quran. Those who have heard and watched the video clip wonder why kids as young as five would be subjected to such brainwashing. 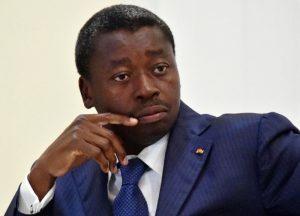 Leading the charge against the government are members of the Kotokoli ethnic group; the largest in Togo with their capital Sokode in the northern part of the country. A western educated cleric from the ethnic group is said to be the leader of the protests whose action and the engagement of Kotokolis in Ghana suggests the extension of the war against the Gnasingbes to Ghana. Some soldiers are said to have been killed upon the inciting of the cleric who has vowed to have the status quo changed. Ghana is home to thousands of Kotokolis; some of them descendants of migrants from Togo and others direct migrants to the country. The neighbouring country is witnessing a series of demonstrations against what the protesters regard as the unusually long reign of the Kabules – the ethnic grouping of the late Eyadema Gnasingbe whose son is now the President of the country. A series of meetings are said to be held in various parts of the county by members of the ethnic group with the ultimate goal of replacing the status quo. 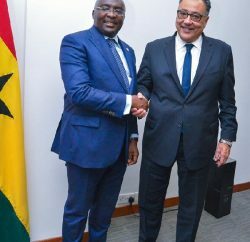 Observers think that our security agents should be on the lookout for those who seek to fight their war against the Togolese government from Ghanaian territory in breach of standard international protocol.